So says the Certificate of Appreciation signed by the President of the United States posthumously awarded to Pilar Campos. I first came across her name from the book, Ghost Soldiers by Hampton Sides published in 2002. My curiosity made me search more about her and came upon the book “Tell MacArthur to Wait” published in 1988 by Dr. Ralph Emerson Hibbs who turned out to be Ms. Campos’ sweetheart before and during the war. A real high society girl, Pilar spoke English, Spanish, French, German and two native dialects. She was the society editor of the Manila Herald and frequently hobnobbed with the who’s who of the local rich and famous society. 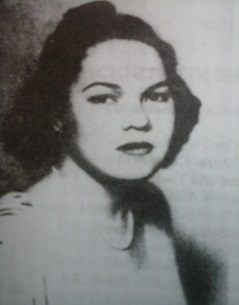 Pilar Campos was rich and educated in the US (Marygrove College in Detroit). Her father was then the President of the Bank of the Philippine Islands (BPI) which is still one of the country’s biggest banks. After the fall of Bataan and Corregidor, Pilar along with prominent Junior League type girls formed the Volunteer Social Aid Committee, their avowed purpose of helping poor Filipino people suffering from the war was extended to a clandestine mission of aiding American POW’s. Pilar was told at first that Dr. Hibbs did not survive the battle in Bataan yet somehow, word reached Pilar that Ralph did survived and was imprisoned in the Bilibid. Dr. Hibbs became Petie’s personal mission. While he was imprisoned at the Bilibid in Manila, Pilar took many risks just to smuggle money, food, letters and even a photo of Ms. Campos, a full-body shot, taken aboard a ship in Manila 1940-41, that he received from her inside the the heavily-guarded Bilibid prison for him. Fr. Theodore “Ted” Butienbruch a Catholic priest, often helped Pilar smuggle in Vitamins, Medicines and Japanese “Mickey Mouse” money for Ralph to trade with. When Dr. Ralph Hibbs was transferred to Cabanatuan, Pilar too visited him with “the girls in blue”, as the Volunteer Social Aid Committee was known among the prisoners. When Pilar saw Hibbs among the prisoners, she threw a package of tightly wrapped medicines, vitamins and money towards Hibbs who panicked when he thought a guard was looking his way, kicked the package away from him to be recovered later on to his delight. Fellow prisoners arranged a way for Dr. Hibbs and Pilar to talk while pretending to help the girls set up their audio equipment. True to Pilar’s commitment to the American POW’s her daring escapades earned her some time in Fort Santiago under the Kempeitai. One book written originally in Spanish by Antonio Perez de Olaguer, “El Terror Amarillo en Filipinas” (translated into English which carries the title “Terror in Manila February 1945” mentions Pilar Campos in an incident where she, together with two female friends (one of whom was blonde), saw several Americans alighting from a truck with Japanese soldiers supervising the affair. One of them had some cigarettes which she had wanted to toss to the Americans but couldn’t. Some words were spoken, and a chinese-looking guy, suspected to be a spy for the Japanese, must have noticed their sympathy for the Americans. Not too long after, the three were arrested and interrogated at the Fort Santiago (an old Spanish fortress used by the occupying Japanese forces for imprisoning, torturing and executing perceived enemies). Pilar Campos, however, was immediately released. Her family’s wealth and influence shielded her from the usual fate that befell those whom the Japanese had thrown to their prisons and camps. 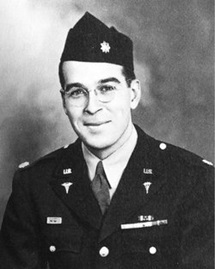 Dr. Ralph Emerson Hibbs was one of the prisoners liberated at Cabanatuan. The Raid at Cabanatuan, also known as The Great Raid, was a daring rescue of Allied prisoners of war (POWs) and civilians from a Japanese camp near Cabanatuan City on January 30, 1945, where United States Army Rangers, Alamo Scouts, and Filipino guerrillas liberated more than 500 from the POW camp. Her mother, Concepcion Campos and the civilians inside the house were also shot. Her brother Tony, was also tortured and killed, strung up by his feet to a marble column where he remained for three days before he stopped breathing. Pilar Campos was 28 years old.